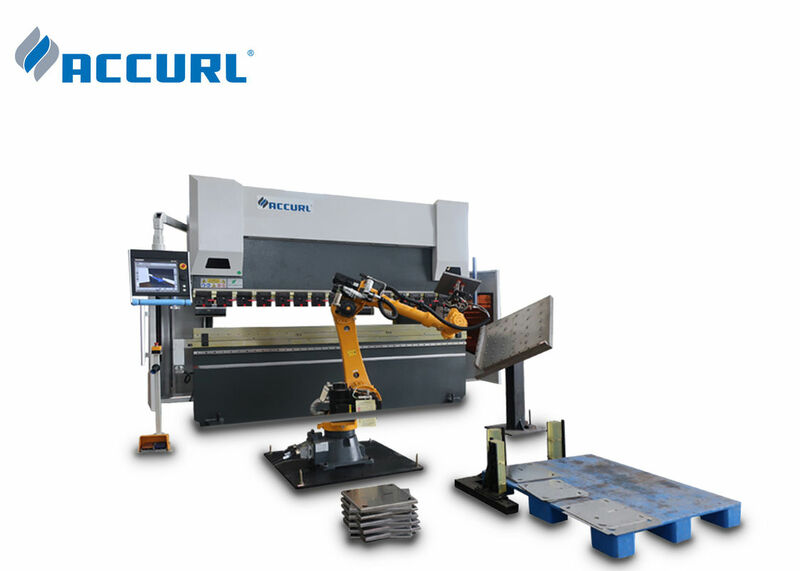 The ACCURL press brake, engineered with great care for details, is a high quality machine tool. The studies made on the framework flections have allowed us to design a product that reacts in the most appropriate and responsive way to the mechanical solicitations, therefore guaranteeing a stable structure, thus a higher precision in bending. This feature is even enhanced by a system of automatic crowning. Worth mentioning is also the possibility to add options and upgrades on the configuration, at later stage. 1. 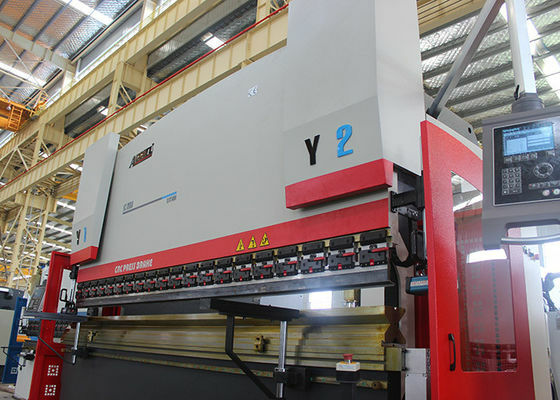 The frame of machine is composed of tank, worktable, left and right housings and RAM. So it has high strength and good rigidity. Also it takes vibration to eliminate Stress. 2. Synchronization working principal of both machines: Adopting electric-hydraulic Proportional valve to ensure the synchronization of both machines. The proportional valve is made by BOSCH company with very good performance such as small friction between mechanic action pairs, fine electronic amplifier and electric magnet with high controlling force and continuous action. 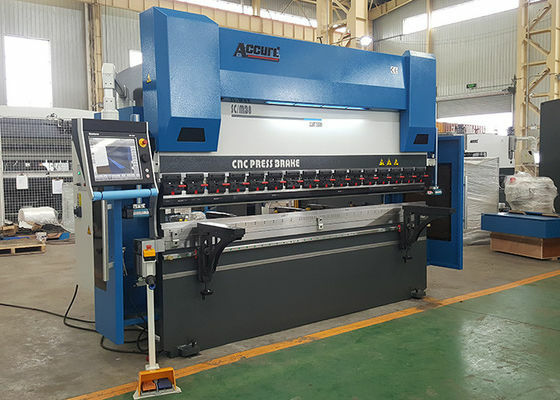 There are two raster displayers on both sides of machine to inspect the position of RAM continuously and feed back the signal to control system, then the control system will control electric-hydraulic valve to make two cylinders synchronization on one machine. Because the raster displayers are installed to "C" plates, not on housing plates directly, the deflection of RAM and frame when working will not effect its measuring and controlling precision. When two machines working together, the differential potentiometer installed between two machines will transfer the mechanic synchronizing signal into electronic one and feed back to synchronization plate and control system. The signal will be enlarged by BOSCH amplifier to control the synchronization of both machines by controlling electric-hydraulic proportional valve. 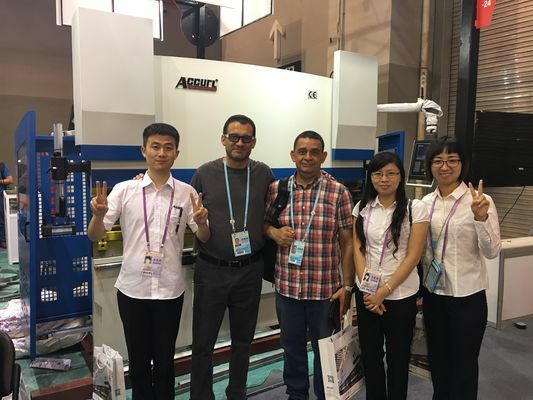 So the synchronization of two machines is achieved with high precision. 3. Through computer, the operator could communicate with machine. The computer has several service language, calculate and adjust the bending force automatically. Also it could calculate and control the dead point, speed changing point. The strokes (Y1, Y2) of RAM could make a small tilt to meet the special requirement of user. 4. Equipped with good guiding system, position measuring system and hydraulic balance system to meet the requirements of full length job and eccentric job. 5. 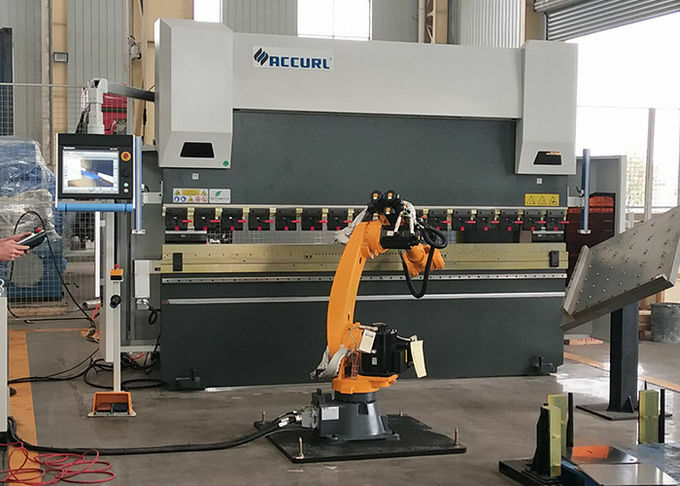 Worktable compensation unit is adopted to make up for deflection of machine when working to make sure the precision of work piece. 6. The surface of cylinder has good wearing and heat treatment, so it has good lubrication and long service life.